September started out with both hot and cold temperatures and Saturday, the eighth, was one of the cooler days. 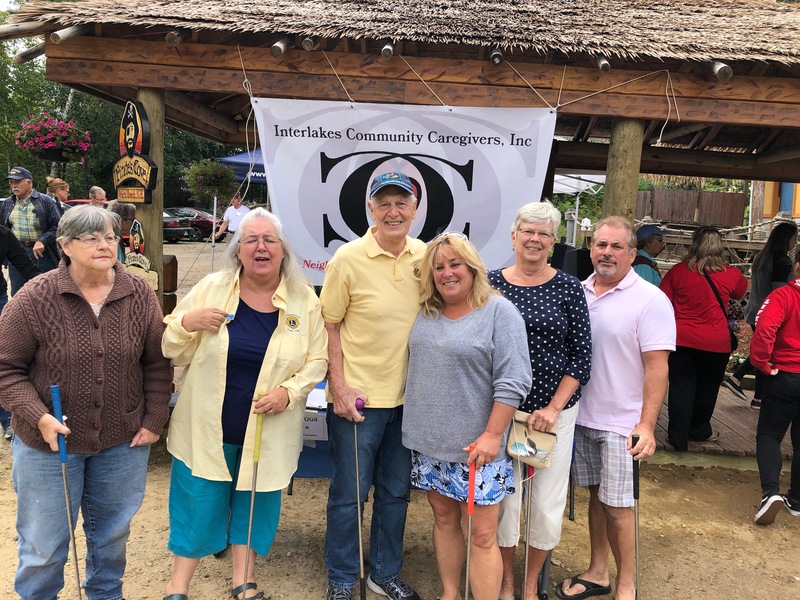 John, Sandy, Karen, Sally, Jeni, and her friend, Phil, were the Lions Club team entry for the InterLakes Community Caregivers Mini Golf Tournament fund raiser. While not as warm as we were dressed for, all had a good time for an excellent cause. Jeni got a hole in one and Phil got two, but that was not enough to earn a trophy…maybe next year. Because Labor Day came early this year, we held our Business and Board meetings on Monday, September 10; however, the dinner meeting remained on the third Monday of the month, September 17. Our speaker was to be Amy Norton, CEO of the Food Pantry and Thrift Shop, but she could not make the meeting. 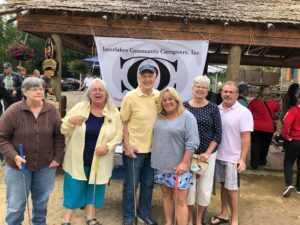 Standing in as speakers for Amy Norton, CEO, of the Lakes Region Food Pantry and Thrift Shop were Board members, former board members and volunteers for the Food Pantry. Mike and Kate Lancor, with Amy Norton, were instrumental in really getting this continually growing organization started. 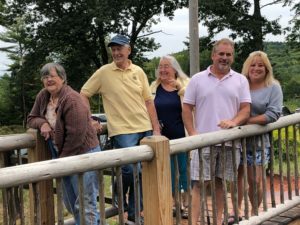 Combining former food pantries into one and after outgrowing one building in Moultonborough, moving to its new location in the old Foss Insurance building near the Post Office. VISION SCREENING: We have already completed three of the five vision screenings scheduled for this month (and four for October). On September 12, Mark, Sally, John and Sarah went to Moultonborough Academy screening 206 students in grades 7-12. The next day, Mark, Sally and John were at Interlakes Middle School, where 153 middle school students were screened. On September 18, Mark, Peter and Kathy were at Thornton Elementary School and screened 204 students. To finish the month, Mark, John and Sally screened 117 students (grades K -6) at Tuftonboro Elementary. So for September, the Club screened 680 students!!!! Wednesday, September 19 was a day for environmental projects. 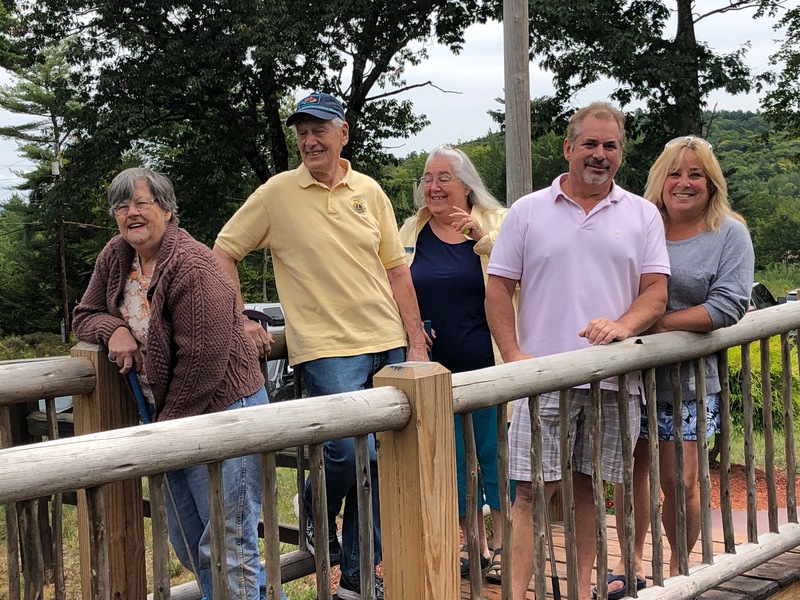 Seven Moultonborough Lions (Mark, Sarah, Chris, Pete, Joseph, Mary, and John) spent 2 hours cleaning both sides of Route 25 between the Center Harbor and Moultonborough town lines. Later that day, Sarah and Chris made two scarecrows to stand on the outside of the Sutherland Park wall next to the Life Safety Building. 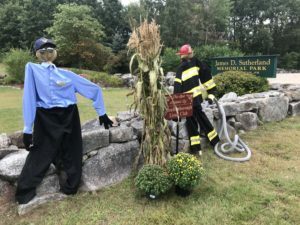 Dressing the scarecrows as a fireman and police officer was most appropriate.